Is it finally happening? Has the world finally reached its Kim Kardashian saturation point? According to a new poll conducted by Parade magazine, the reality TV star took the top spot in the "Most Annoying Celebrity" category with 29% of the vote. Putting that in perspective, Kardashian beat out Charlie Sheen (27%), "Jersey Shore" star Nicole "Snooki" Polizzi (21%), Lindsay Lohan (16%), Donald Trump (5%), and "The Bachelor" star Brad Womack (1%). The voting was part of Parade's "Pop Culture Poll 2011." Other categories included "Most Likely to Succeed From Harry Potter" (Emma Watson, with a crushing 79% of the vote), "Coolest Couple" (Will and Jada Pinkett Smith edged out Jennifer Garner and Ben Affleck for top honors), and "Hottest Summer Tune" (Adele's "Rolling in the Deep"). 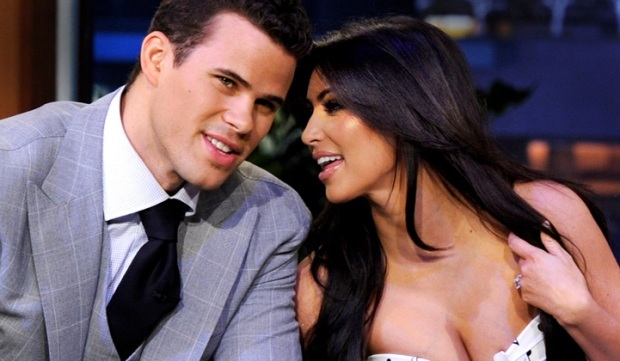 The Kardashian wedding special is due to air on E! on October 10th. Maybe Kim will have the last laugh.